Product categories of 2500 chainsaw parts, we are specialized manufacturers from China, 25cc chainsaw parts, 25cc petrol chain saw suppliers/factory, wholesale high-quality products of chain saw parts list R & D and manufacturing, we have the perfect after-sales service and technical support. Look forward to your cooperation! 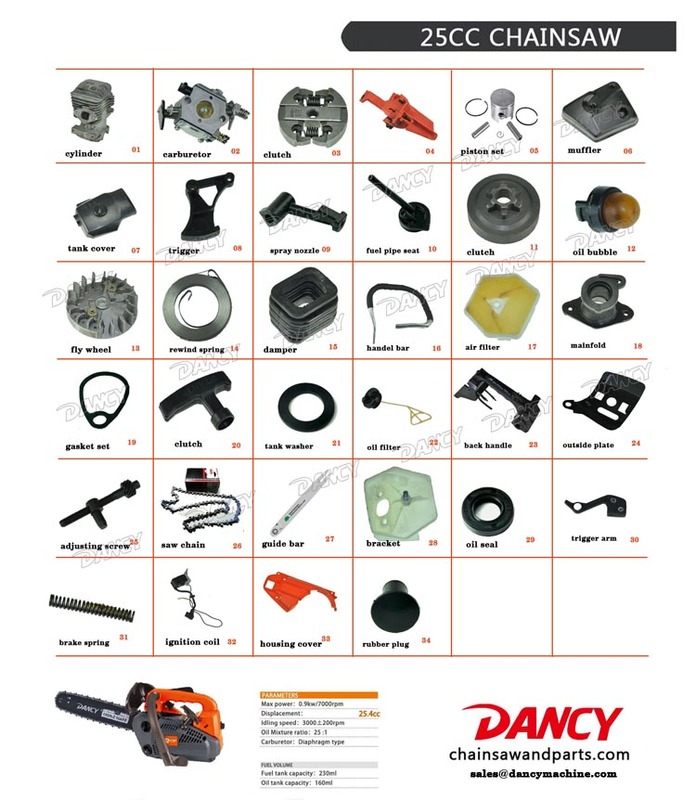 We supply a full range of spare parts for gasoline 2500 25cc chainsaws. Should you get interest,please contact us for further details.